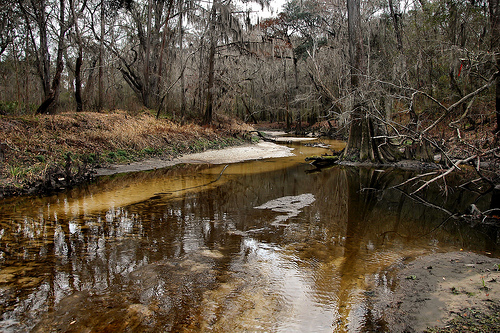 Originating in Berrien and Cook counties, the Withlacoochee River flows south through Brooks and Lowndes counties then crosses into Madison and Hamilton counties in Florida. 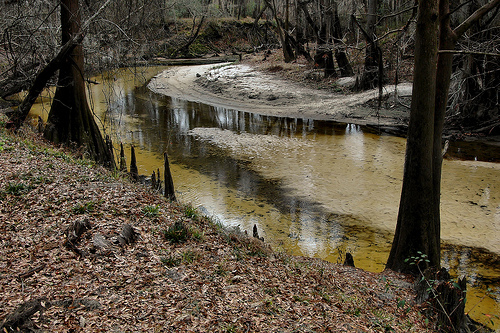 It merges with the Suwanee River near Live Oak and eventually empties into the Gulf of Mexico. 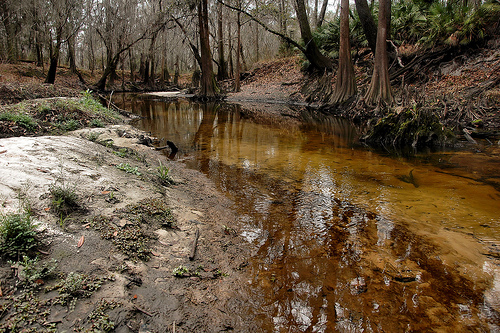 There’s another Withlacoochee River, originating in the Green Swamp near Polk City, Florida, and emptying directly into the Gulf of Mexico. Kayakers sometimes refer to Georgia’s river as Withlacoochee North. 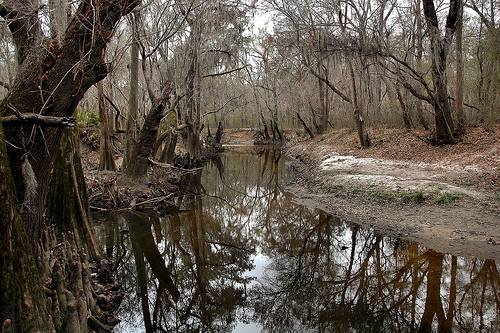 It’s believed the Florida river is named for the Georgia river. The origin of the name is thought to be Muskogean/Creek, loosely translated as little big water or river of lakes. 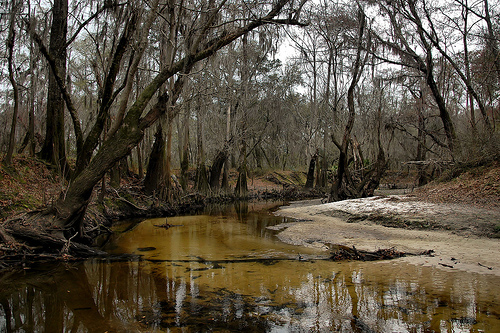 The Withlacoochee is a relatively low river in general, but was particularly so when I made these photographs in the winter of 2012. The river was suffering the effects of a drought at the time. It’s best known by kayakers and a few intrepid anglers. Bowfin (Amia calva) a cousin of gar, is common in most runs of the Withlacoochee and though not generally taken for food, is a popular, if exotic, sport variety. 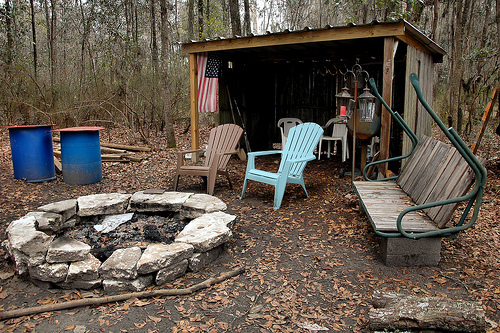 There’s little literature or historical writing to be found on the Withlacoochee. It’s well-known to locals, but beyond its moss-draped banks, very few people are even aware of it. Most published lore on the Withlacoochee can be credited to the paddle sport community. 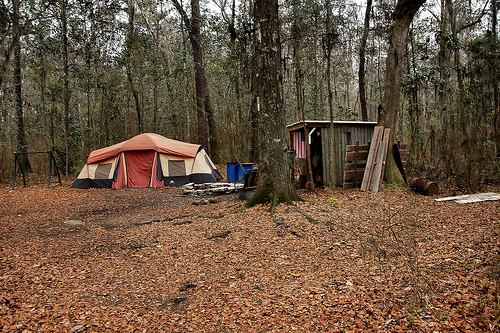 There are a few private campsites along the river but access is quite limited. 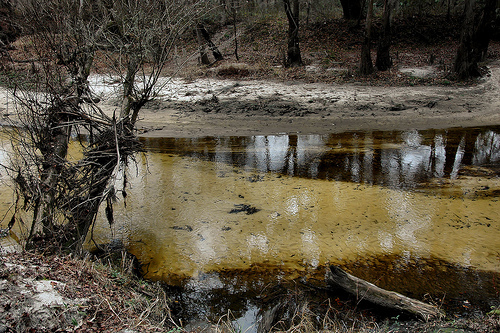 The growth of Valdosta and pollution from industrial agriculture near the river are putting a strain on this fragile environment, but ultimately, the river makes its presence known. A neighborhood near the spot these photographs were made has been known to flood on several occasions when the river receives heavy winter and spring rains. Interstate 75 passes within a half-mile of this area, as well. There’s a timeless feel to this wilderness, even in its most urban setting. At low water, one could theoretically “walk” the river for as far as he wished. 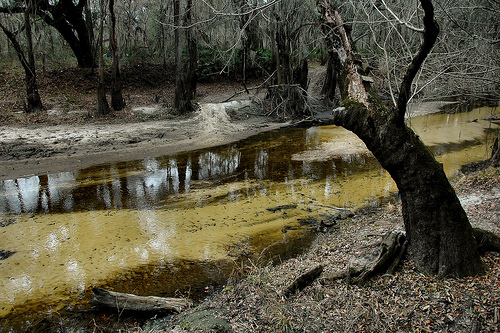 Today, the Withlacoochee-Willacoochee-Alapaha-Little-Upper Suwannee Watershed Coalition (WWALS) is working to make the public more aware of the smaller and lesser known rivers of this section of South Georgia. Through education and pollution monitoring, they’re beginning to make a real impact. 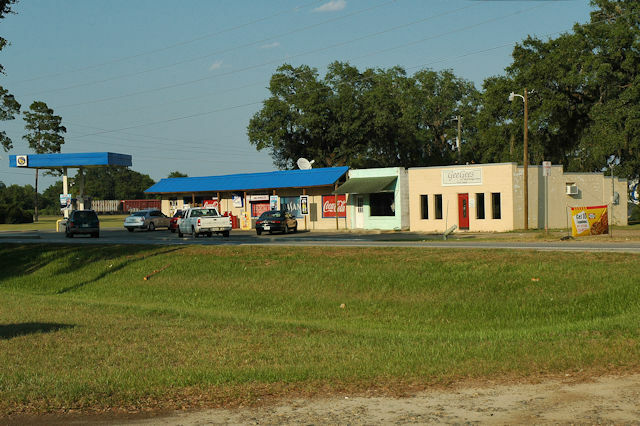 This 70s landmark was once one of the most popular restaurants in Valdosta. Today, just an empty building and this old sign remain. 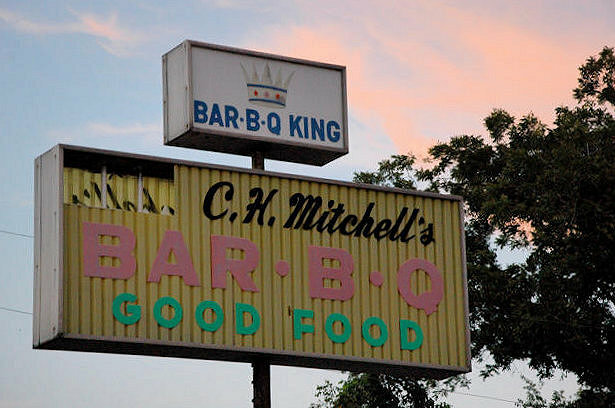 I’ve been told that Burt Reynolds used to pass through Valdosta on occasion and always picked up a pile of barbeque at C. H. Mitchell’s when he was there. Don’t know if that’s true, or just urban legend, but I like it. 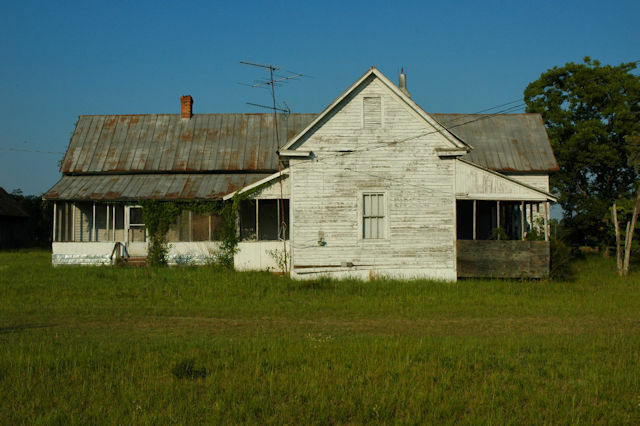 As of 2016, I don’t know if this house, on the Clyattville-Lake Park Road, is still standing. It was for sale at the time I photographed it. I’m told this was a railroad freight office at one time, but it also looks like it could have been a store. 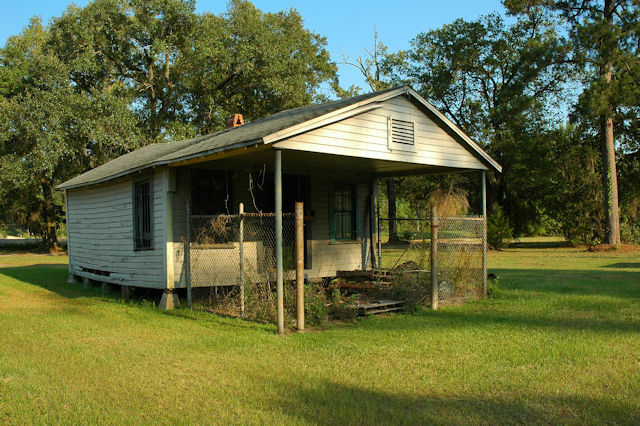 Several railroads have serviced the 10-mile run between Valdosta and Clyattville since the late 1880s, including the Florida Midland & Georgia Railroad; Georgia & Florida Railroad; Valdosta Southern Railroad and Valdosta Railway. 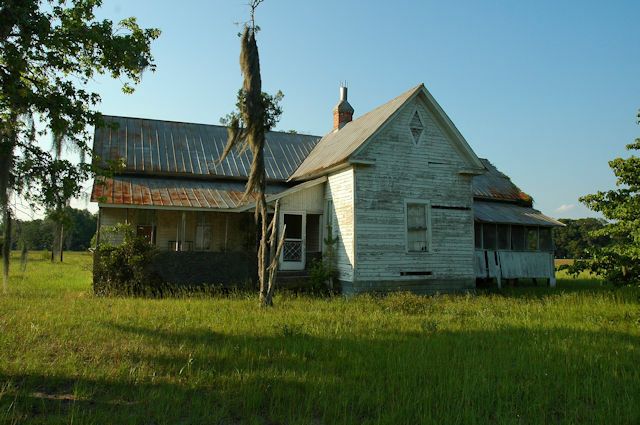 It it is indeed related to the railroad, the style of the building would suggest it was from the time of the Georgia & Florida Railroad. 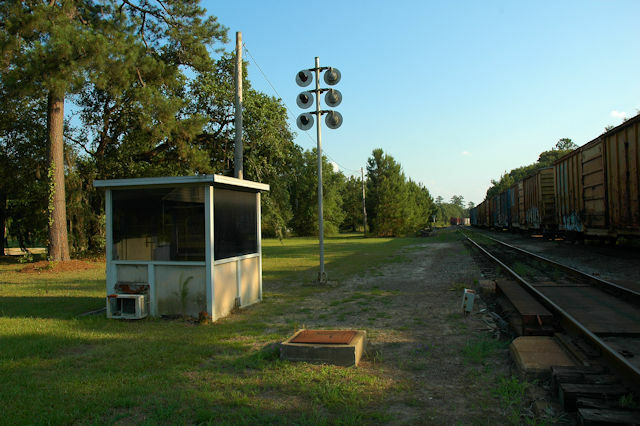 The Valdosta Railway is a shortline operated by Genesee & Wyoming to connect Clyattville to the CSX and Norfolk Southern lines at Valdosta. 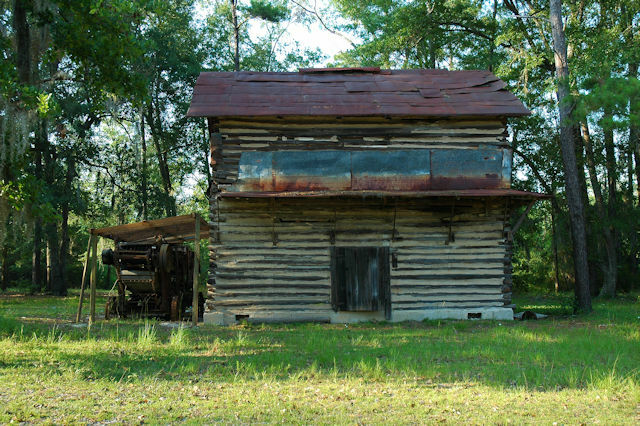 Dean Dasher writes: It was built in the 70’s to replace an old beam type scale they used that was under a shelter.